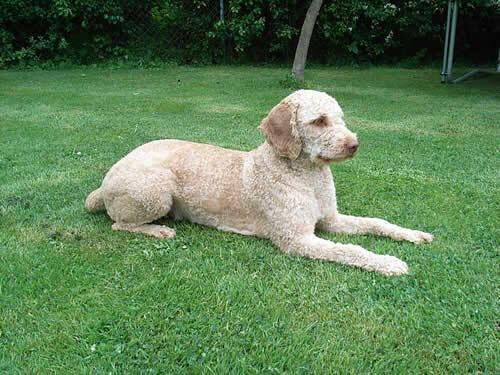 Spanish Water Dog Breeders & Puppies For Sale If your a Spanish Water Dog breeder and have Spanish Water Dog puppies for sale, send us your details for free and we will add to our Spanish Water Dog Breeders page. Spanish Water Dog Rescue Center Visit the Spanish Water Dog rescue centers if your looking to rescue a Spanish Water Dog , as well as learn more about the breed or just support the rescue centers for there hard work. Origin / History The Spanish Water Dog's exact origin is unknown, but there are several theories as to how it came to existence. There is a theory proposing that Turks brought Spanish Water Dogs to the South Iberian Peninsula and used them as sheepdogs. Another theory suggests that the dog comes from North Africa. Although it's exact origin is unknown, there are documentations that the Iberian Peninsula is indeed home to woolly-coated shepherd dogs in 1110 A.D. During that time, Spanish Water Dogs worked with farmers as well as fishermen. Appearance Spanish Water Dogs are medium-sized dogs born with curly coats of hair that should not be groomed for aesthetic purposes. When their hair grows long, it can form cords. Colours Spanish Water Dogs come in a variety of colors such as beige, white, brown, and black. 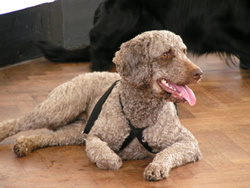 A Spanish Water Dog may also be bi-colored, but the second color must be white. The standards for this breed prohibits people from breeding Spanish Water Dogs that come in three colors. Temperament The Spanish Water Dog has strong herding instincts. When around young children, the Spanish Water Dog might exercise its herding capabilities among the children, and this should be avoided. This dog breed has high intelligence and is very eager. However, these dogs can also be strong-willed, territorial, moody, quirky, and manipulative. Height and Weight 44- 50 cm in height and 18- 22 Kg in weight. Common Health Problems This breed is known to have health problems such as cataracts, hip dysplasia, hypothyroidism, and allergies. Living Conditions Spanish Water Dogs are great for almost all kinds of environments. They have no problems at all with regard to living in extremely hot or cold areas. The owners must make sure, though, that their Spanish Water Dog gets just the right amount of exercise. Exercise Requirements Spanish Water Dogs need plenty of exercise. They should be taken out for daily walks, even when they are still young and less than a year old. They should also be provided with exercises that stimulate their mind because these dogs easily get bored. Training Requirements Aside from their daily walk, Spanish Water Dogs can be trained positively by making them engage in activities such as herding, tracking, hunting, water work, and flyball. They should also undergo obedience and agility training and must be provided with much human contact. They usually respond better to women rather than men. Life Expectancy When properly cared for, Spanish Water Dogs can live for 10 to 14 years. Grooming The Spanish Water Dog is very low-maintenance when it comes to grooming. The coat does not need trimming, nor brushing or combing. However, it's coat does need shearing once a year. When a Spanish Water Dog's coat grows long enough to cord, one should make sure that the cords do not stick too near the skin, and the owner must make sure that proper cording ensues. 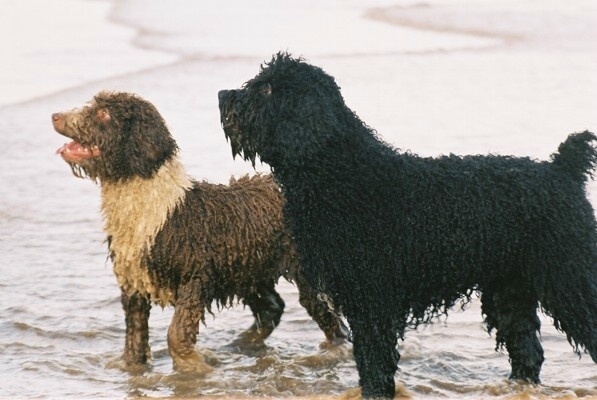 After a Spanish Water Dog is bathed, it should be allowed to air or drip dry. 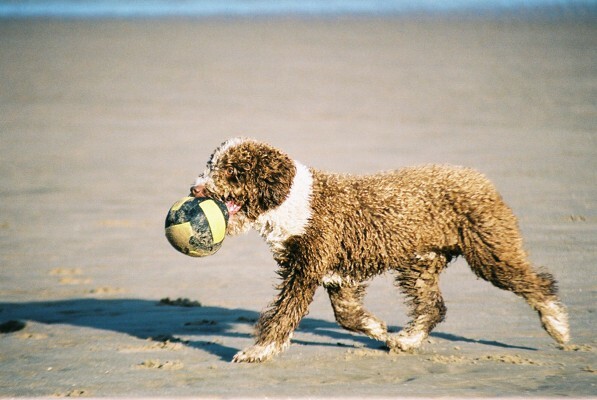 More Spanish Water Dog Information: Check out our Spanish Water Dog Clubs and links to more informative websites dedicated to the breed.